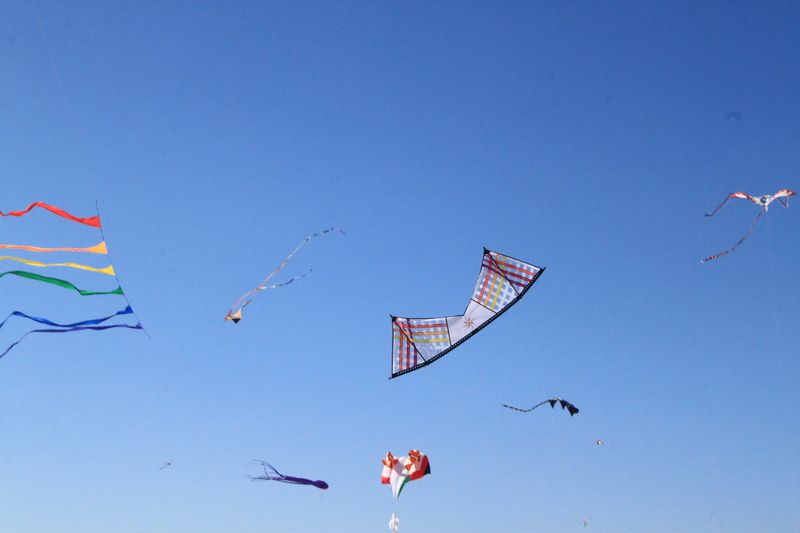 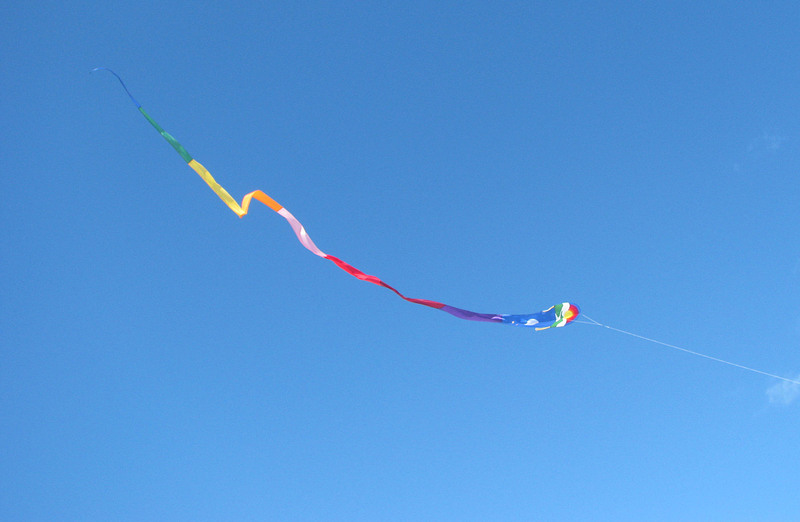 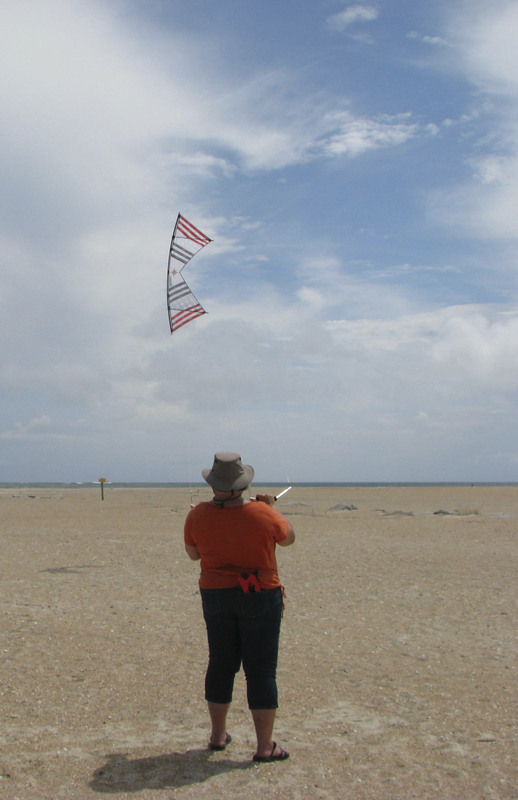 You are currently browsing the tag archive for the ‘Quad Line Kites’ tag. 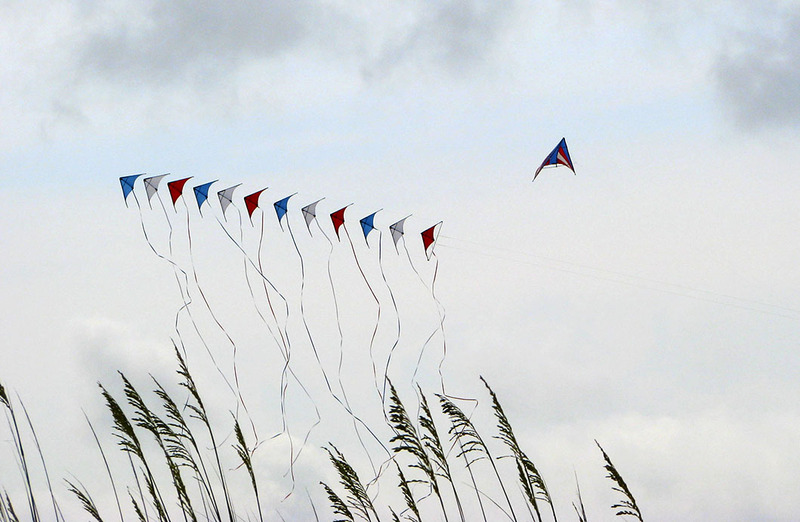 Tropical Storm Bonnie played havoc with any kiting plans this weekend. 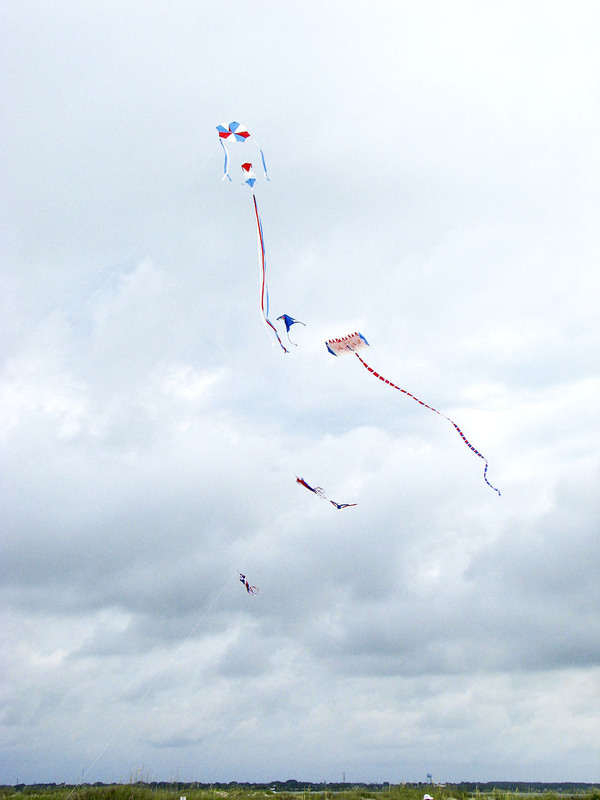 Not because of high winds nor lots of rain but because the rain came in irregular squalls That made us very reluctant to take our kites out to the beach. 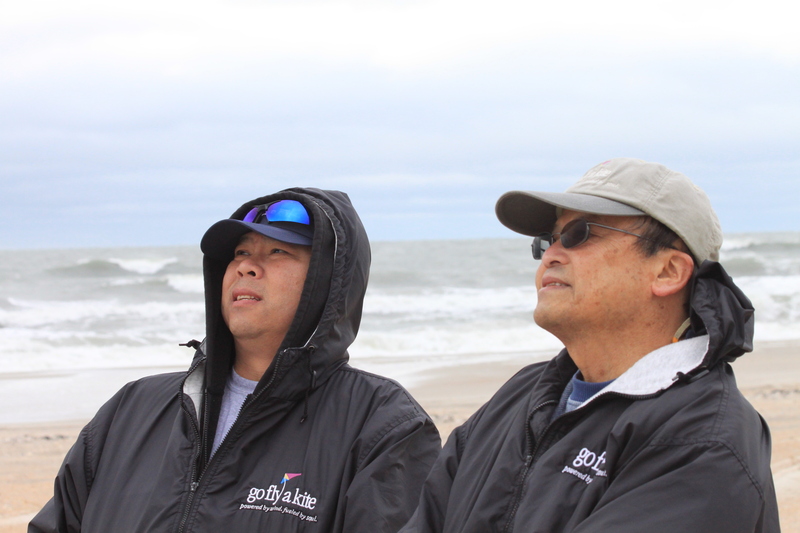 The weather predictions said rain all day, all weekend. 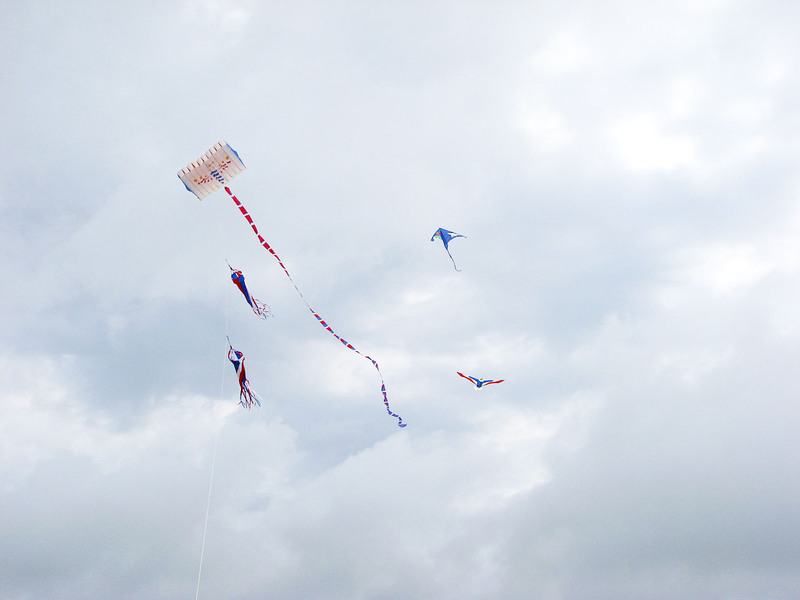 The actual weather was warm and sunny with unexpected showers that would drench anyone and anything and then blow through, leaving more sunshine in its wake. 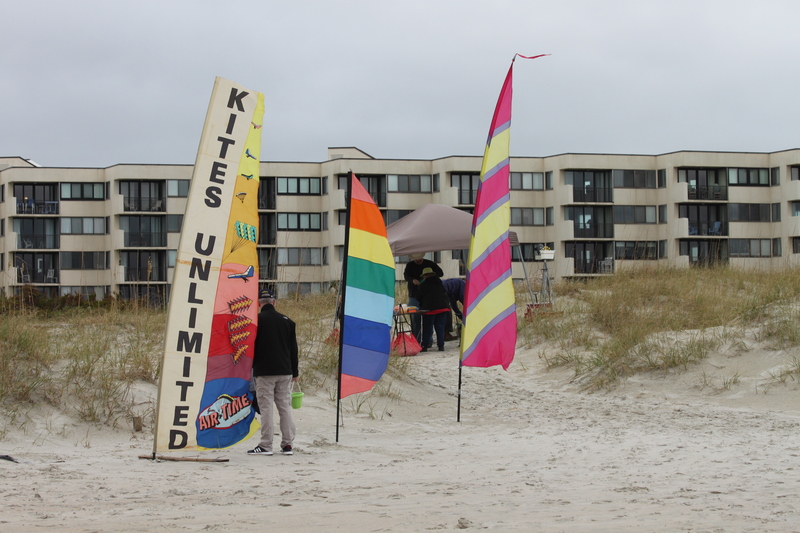 It was aggravating to see all that sunshine and know that as soon as you walked from the car to the beach, it would start to rain again. 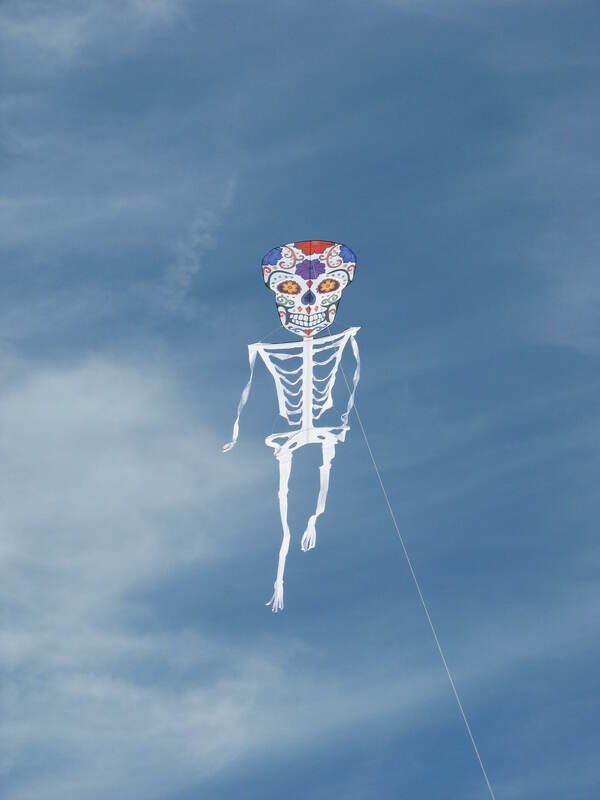 So there was no kite flying on the holiday. 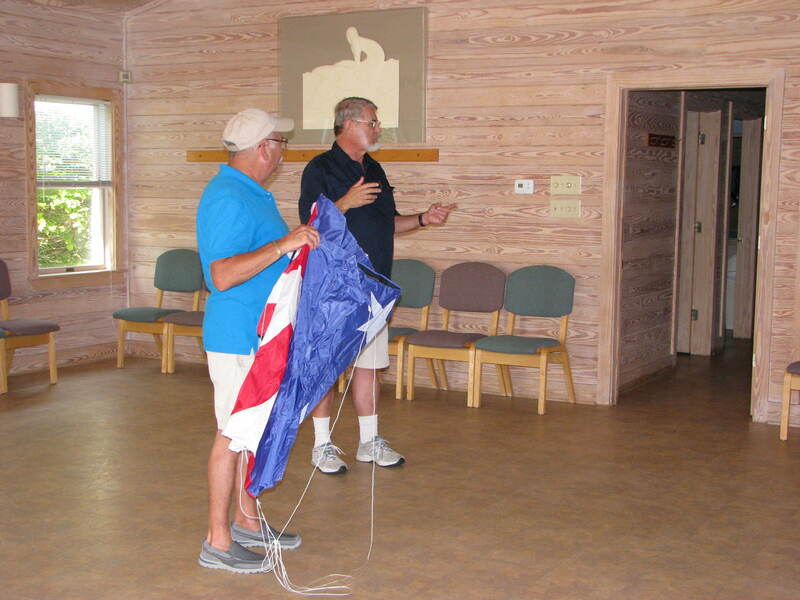 What was scheduled was a talk for an OLLI group (Osher Lifelong Learning Institute) from Duke University at the Trinity Center in Pine Knoll Shores, NC. 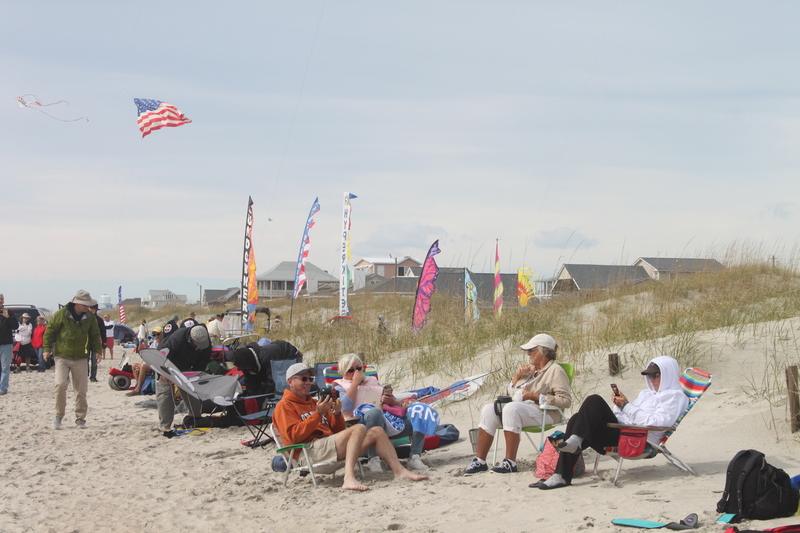 This is a group of retired individuals living around Durham, NC who do not believe that retirement means you sit at home watching television for the rest of your days. 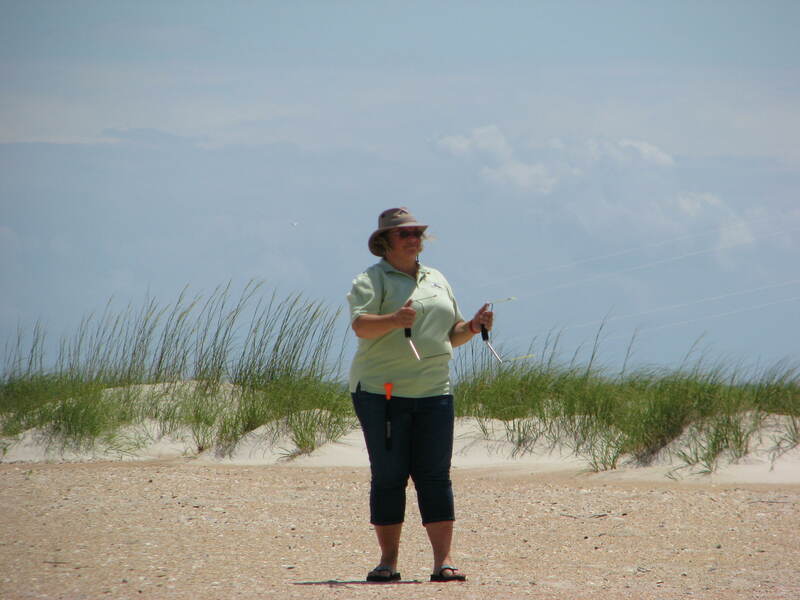 The institute coordinates continuing education classes at the university and group trips to visit new places and gain new experiences. 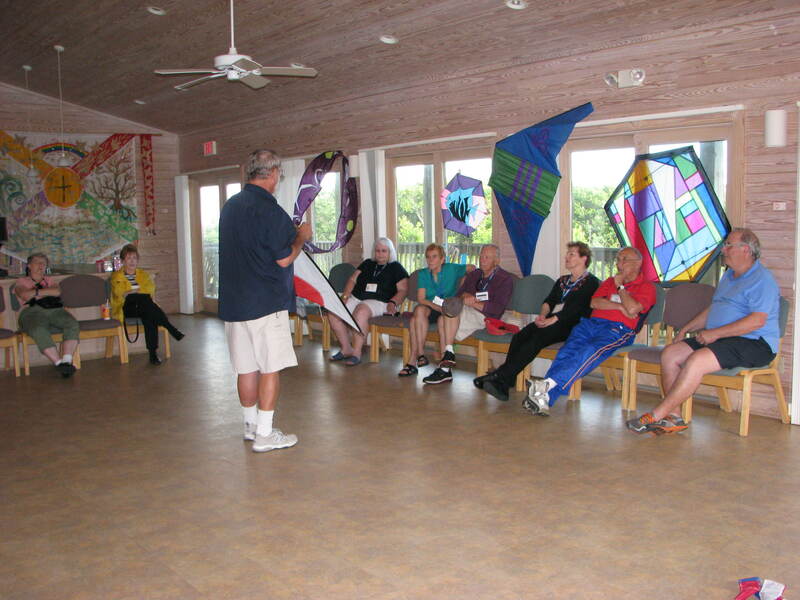 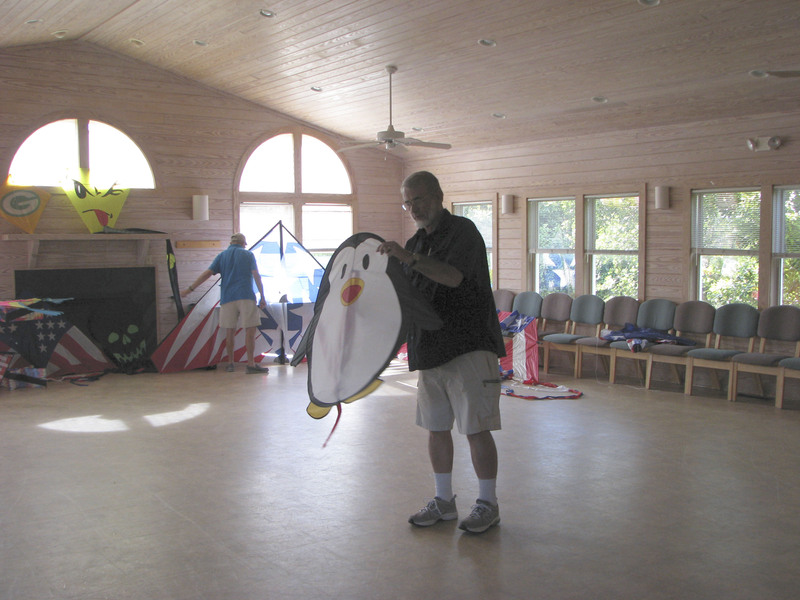 As part of this trip, the group was learning about kites and kite flying. 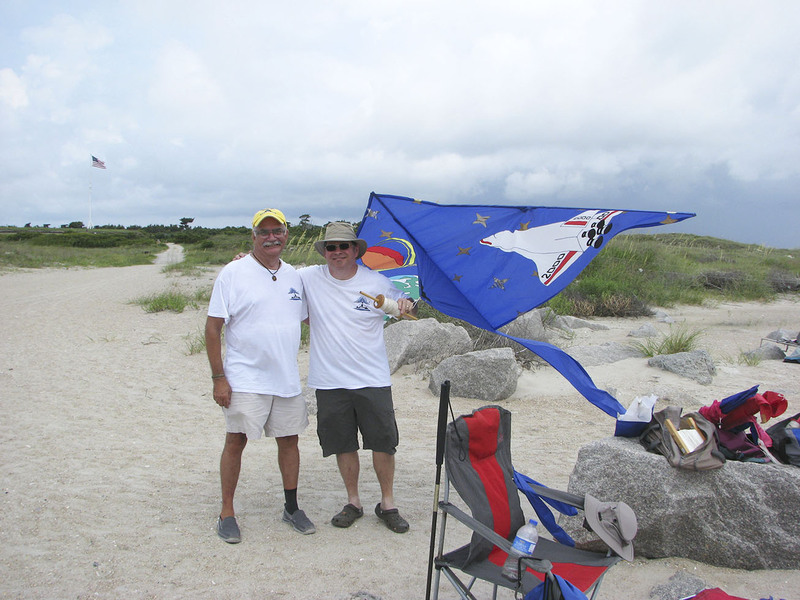 Don Dixon of Kites Unlimited gave the presentation and my husband helped by bringing kites to show and talk about what we like to fly. 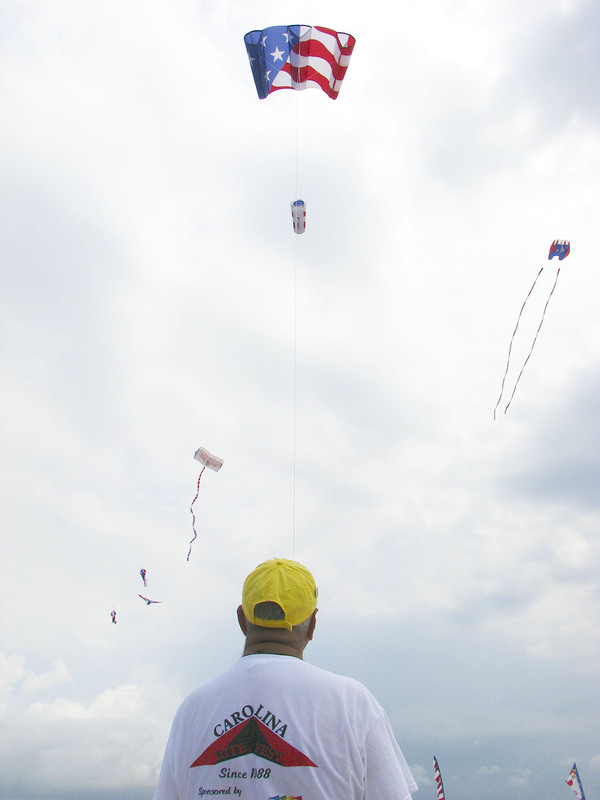 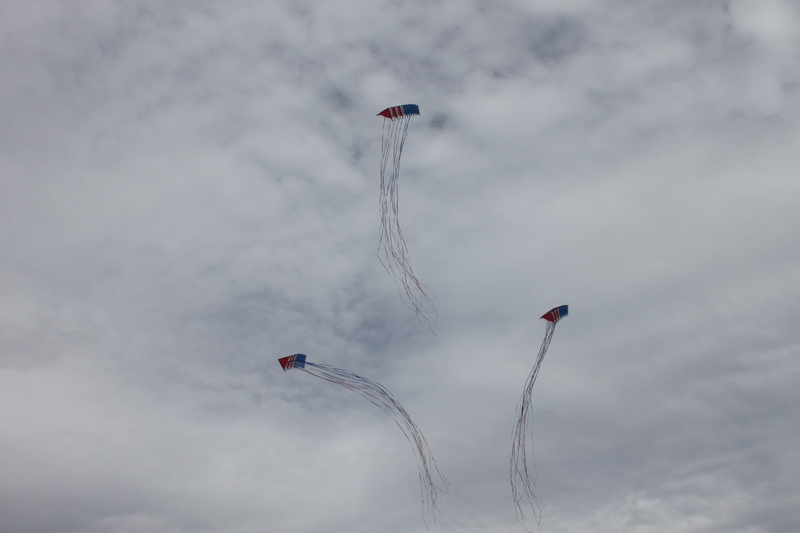 My part of the program was to show the kites I had made. 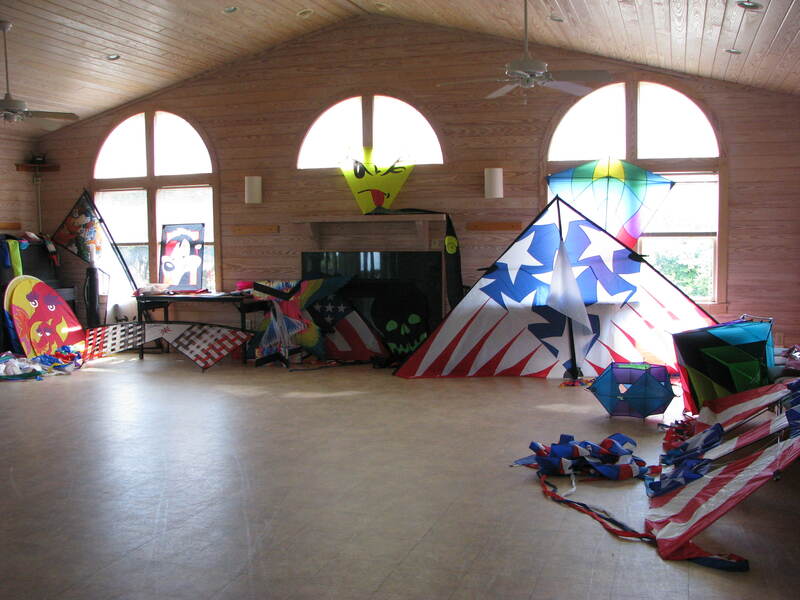 As there were quilt makers in the group, this brought up discussions about the techniques used to make the kites. 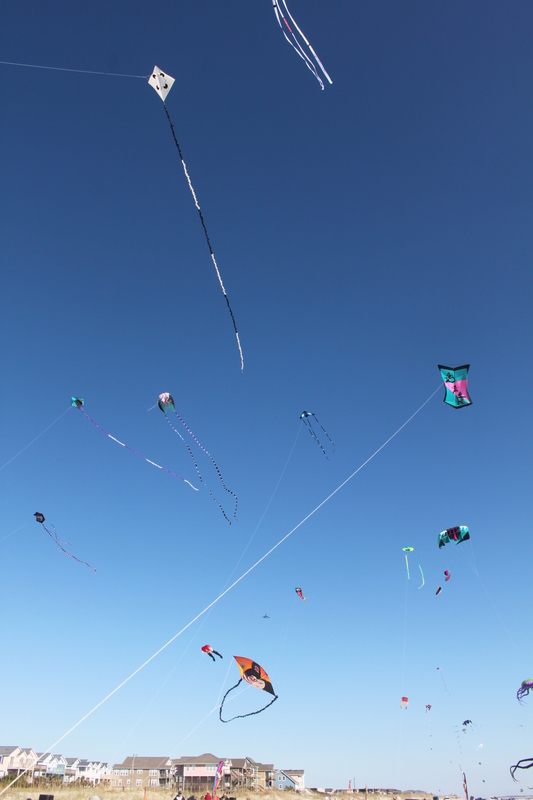 The group was small but they all were interested and a few came to the kite shop the next day and bought kites to take home. 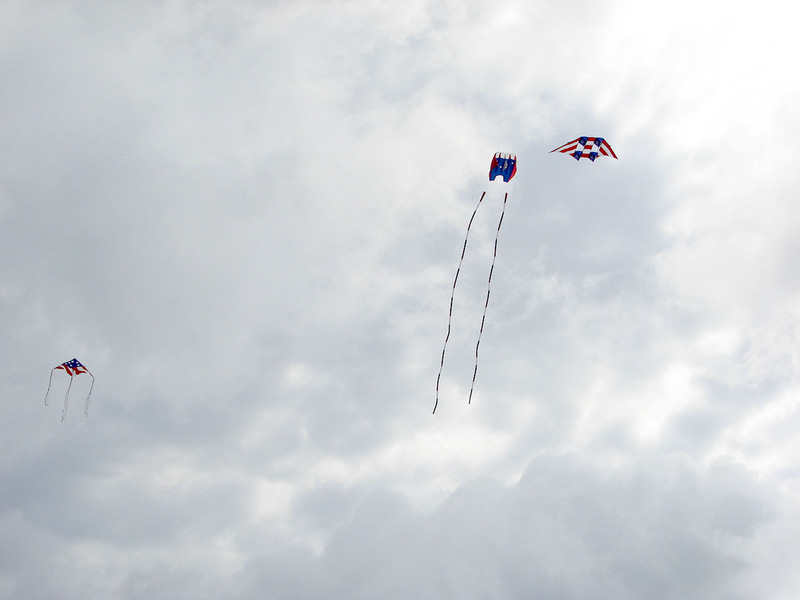 The weather cleared up the day after Memorial Day. 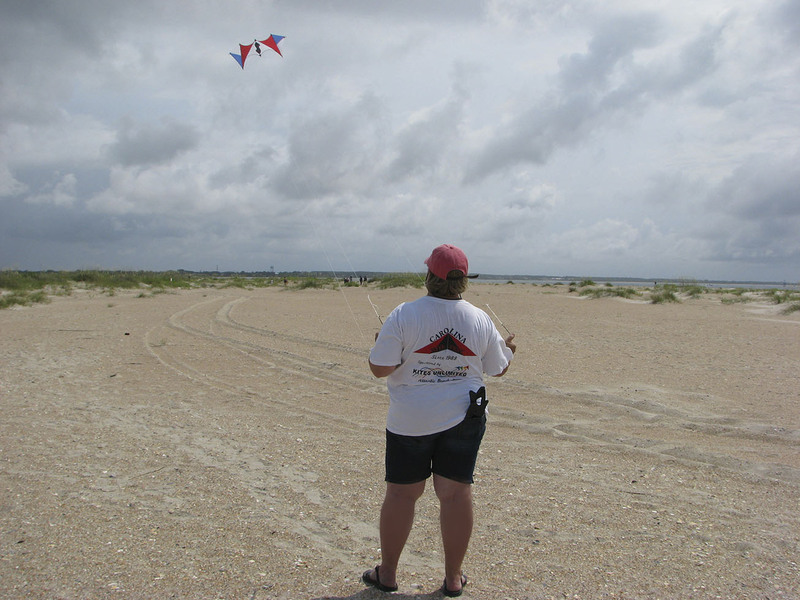 Most of the weekend visitors had left the beach so we went out for a short afternoon fly. 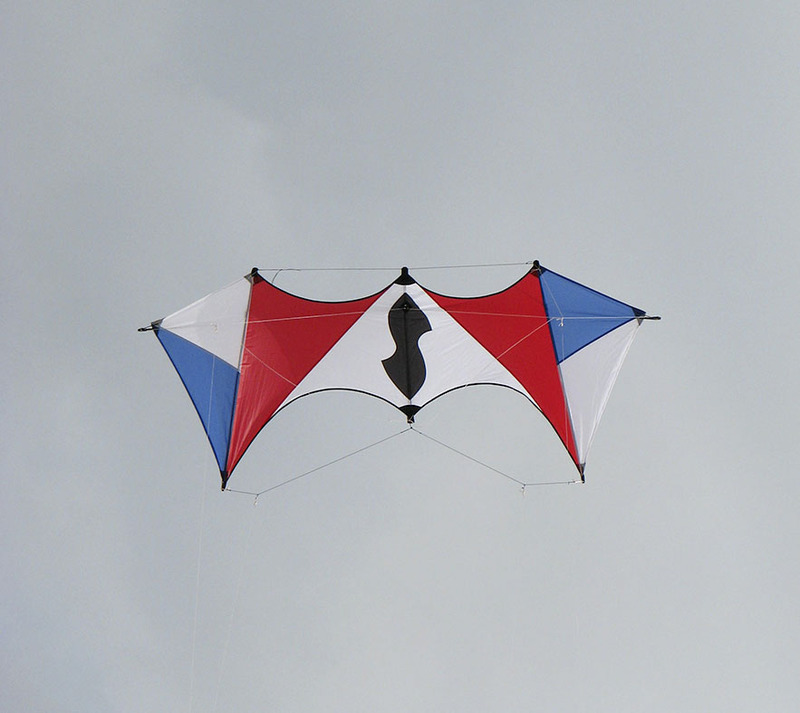 I really needed some practice with a quad line kite so the only one I carried was the Shook Mesh Revolution. 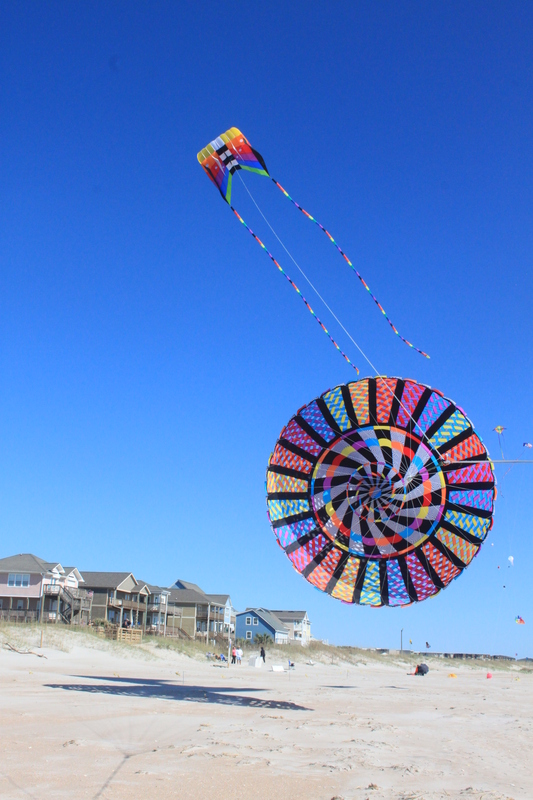 The Shook Mesh is only made by Elliot Shook of Flying Smiles Kite Shop in Corolla, NC. 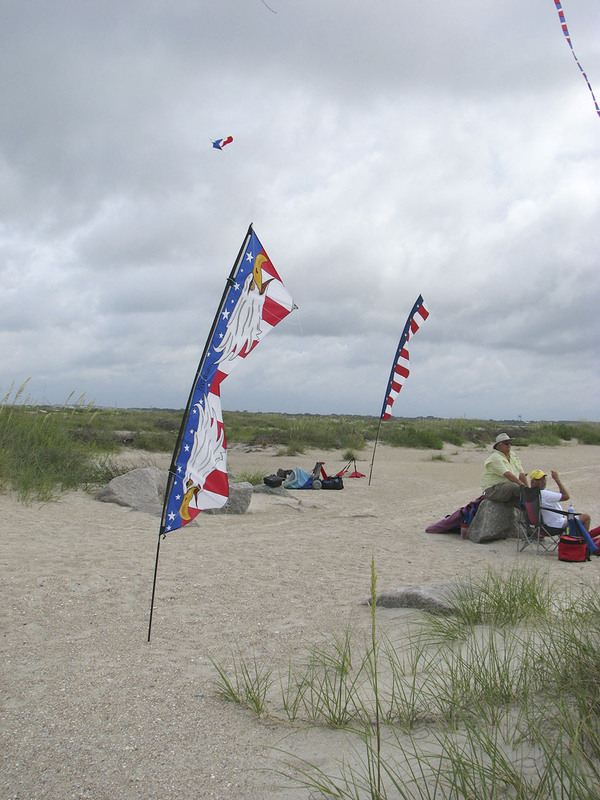 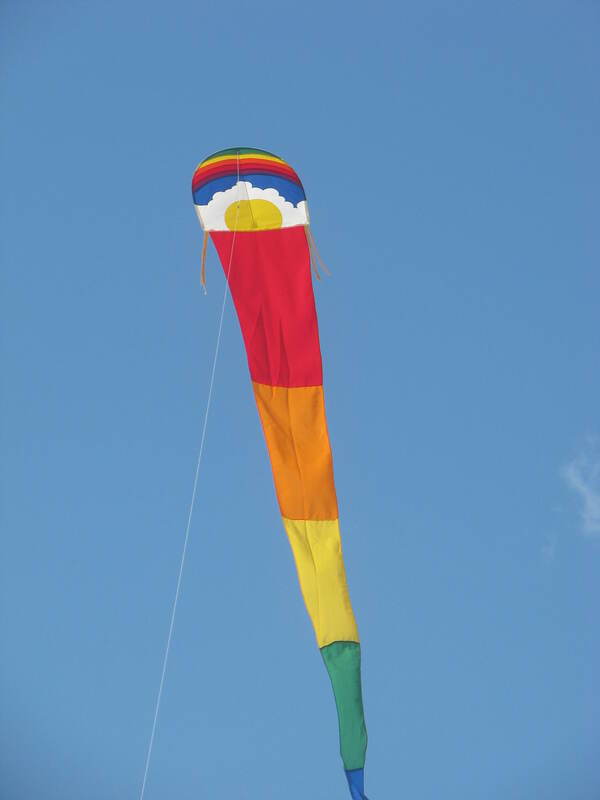 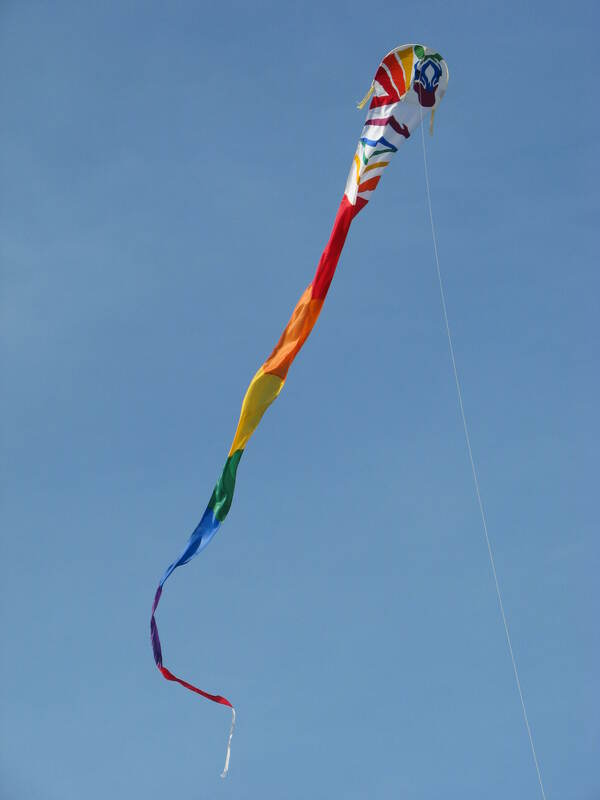 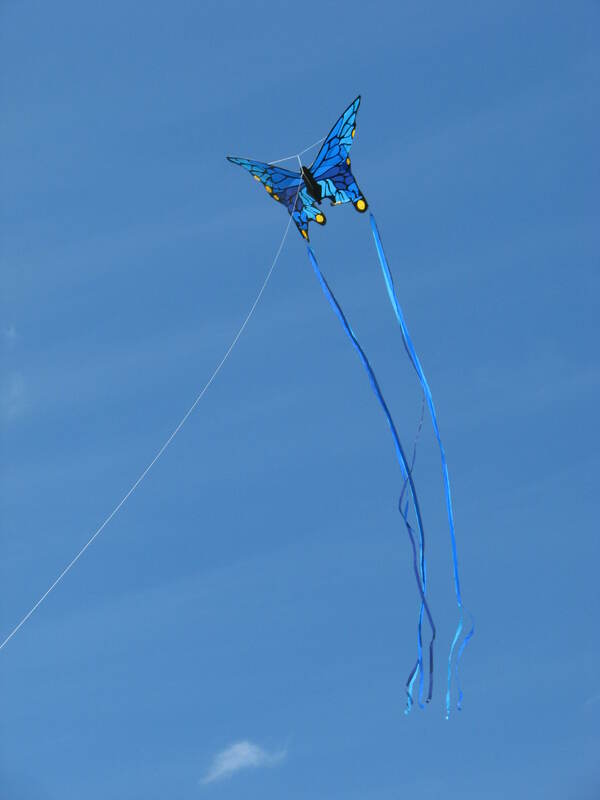 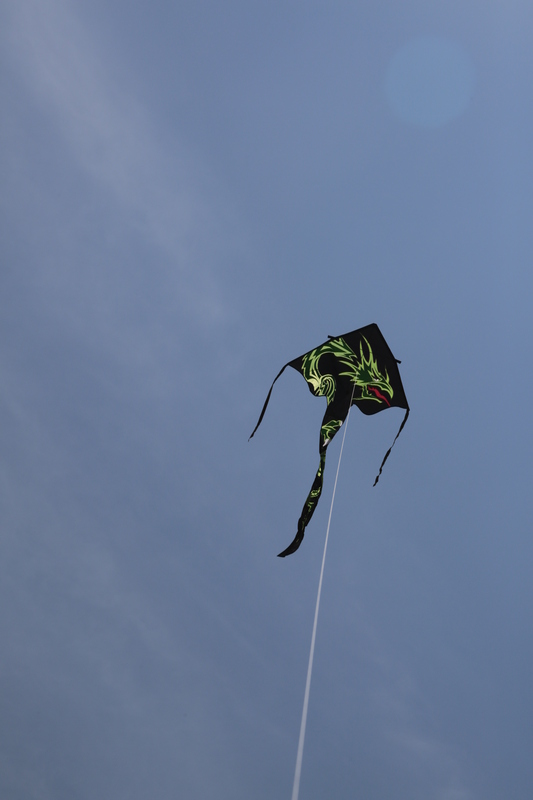 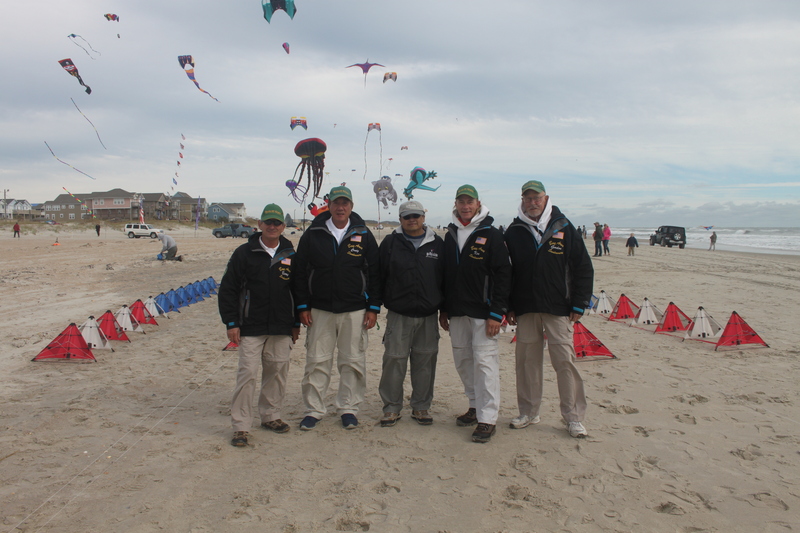 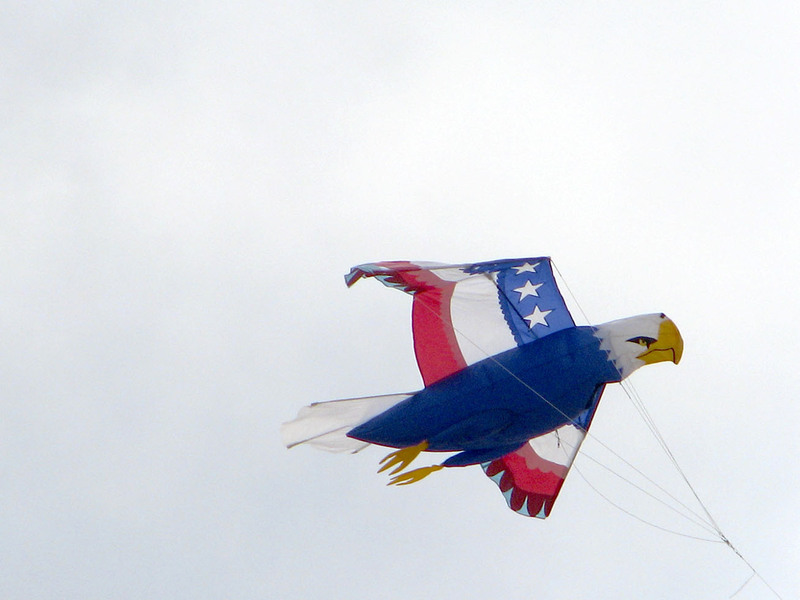 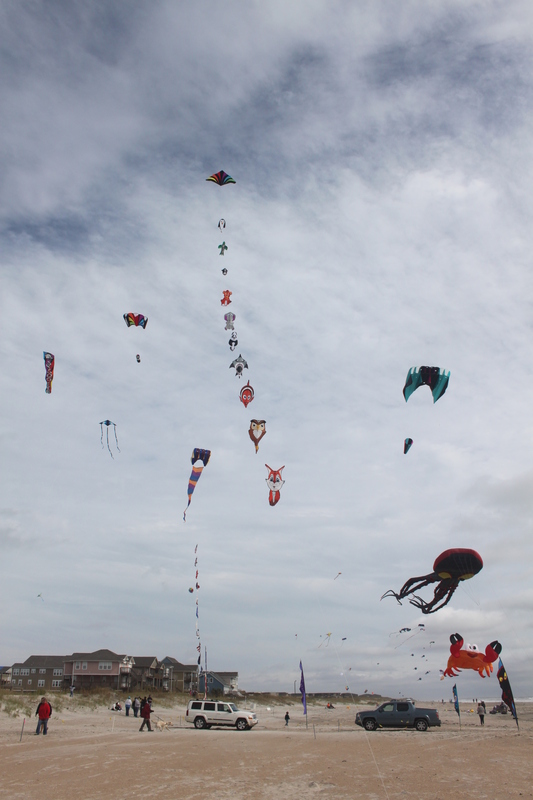 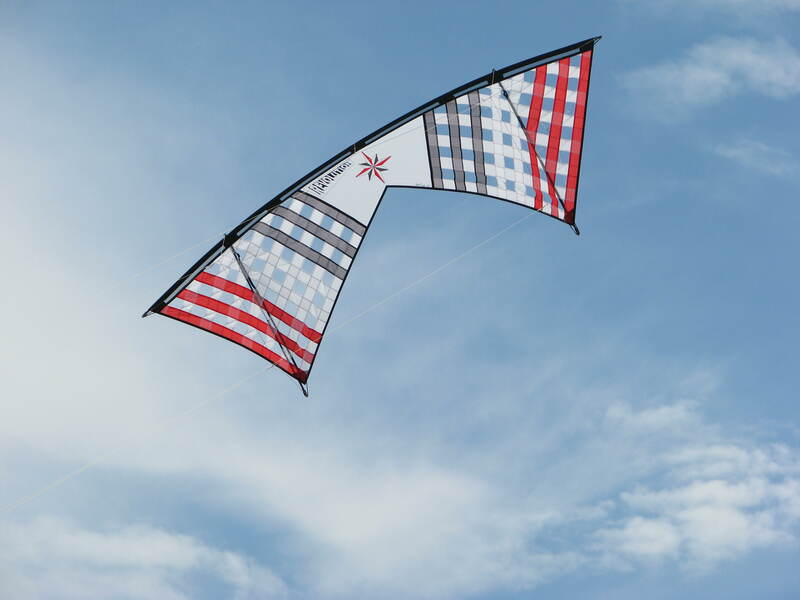 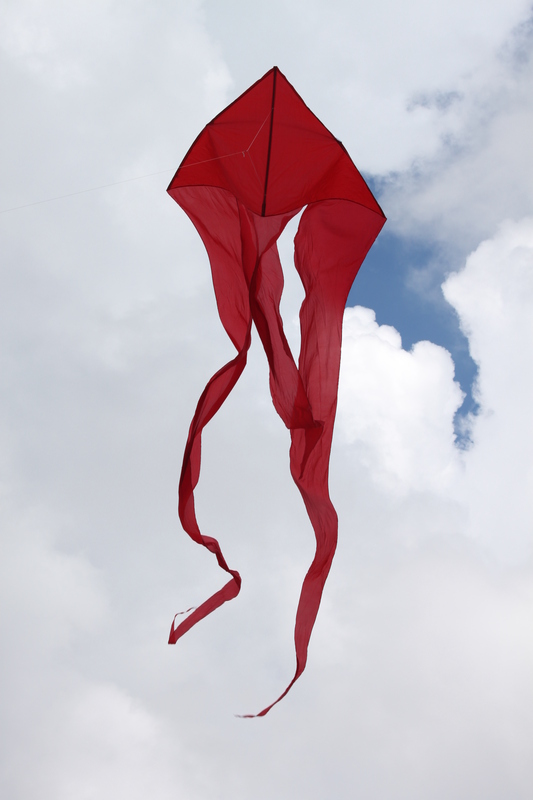 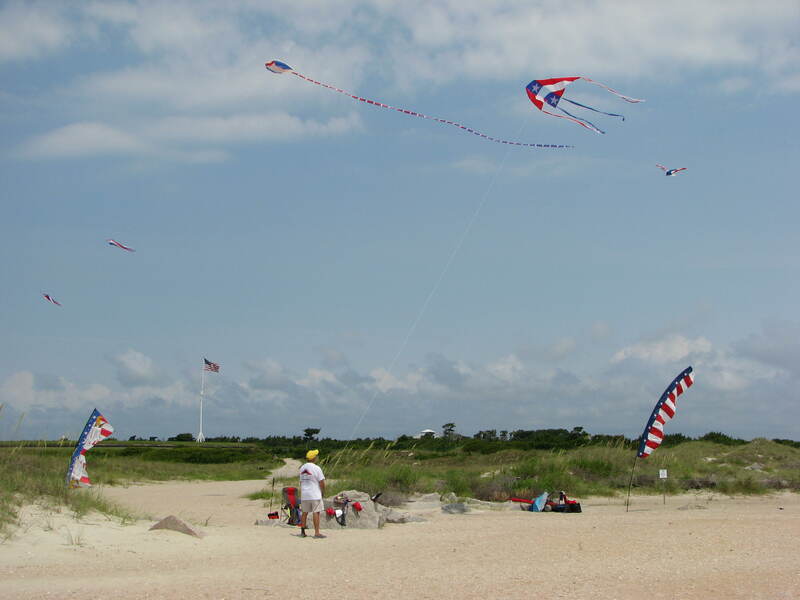 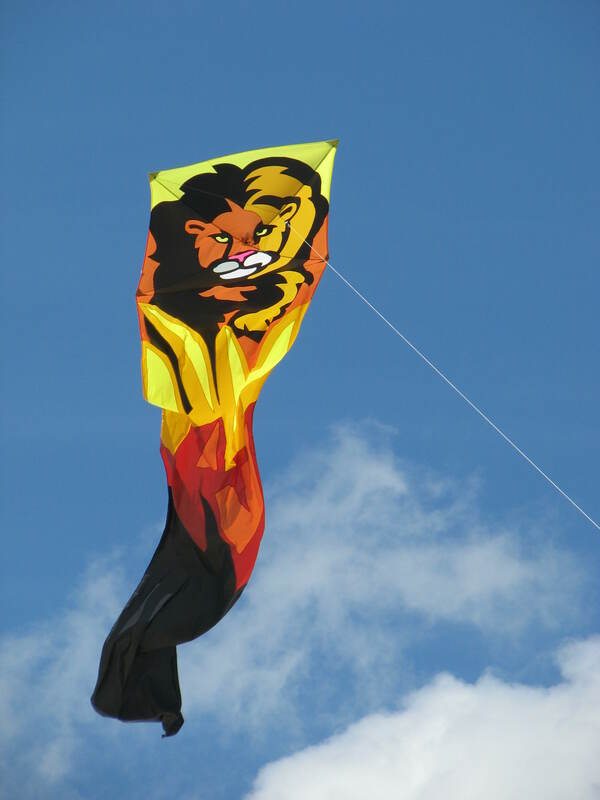 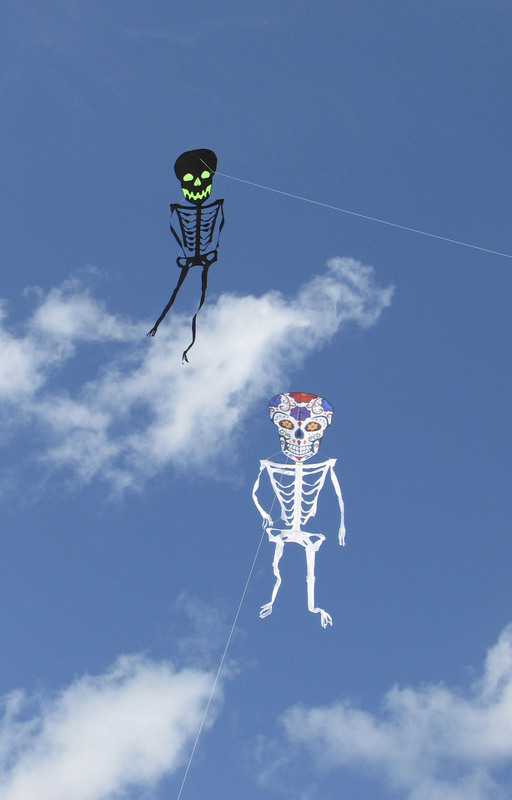 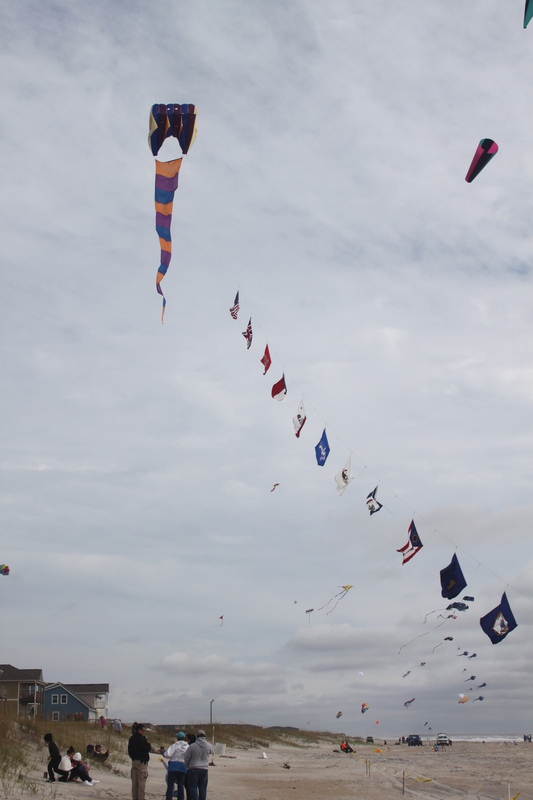 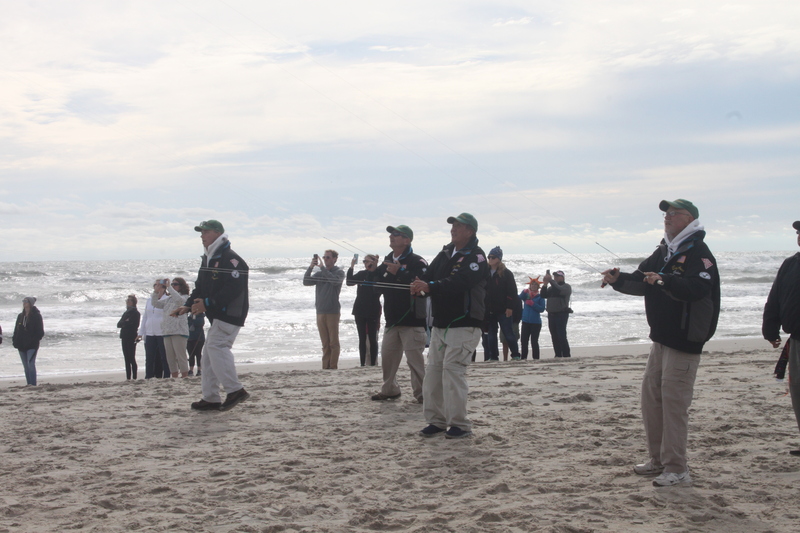 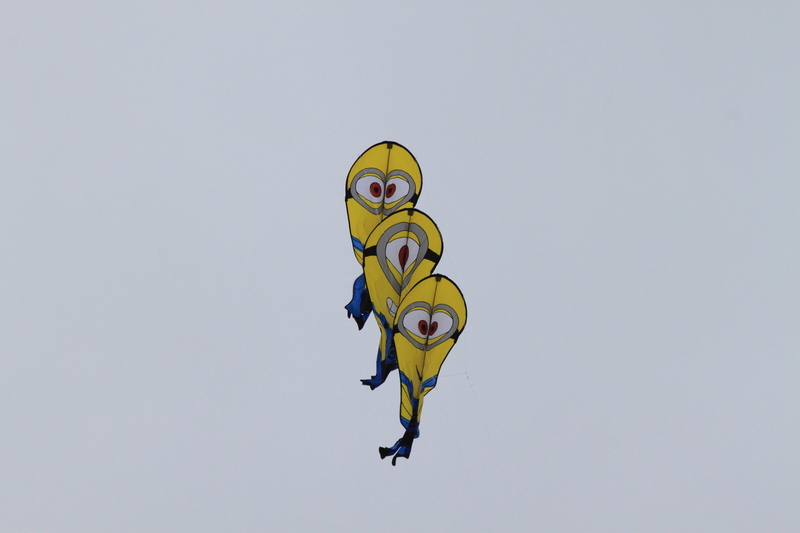 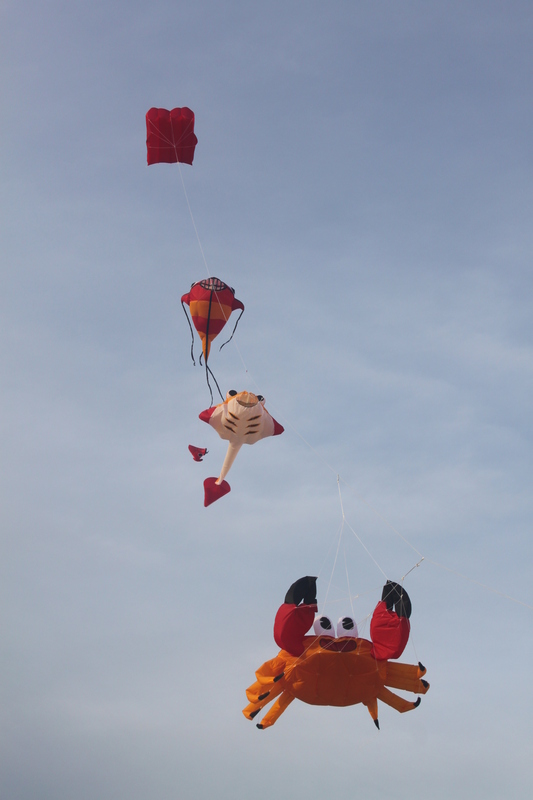 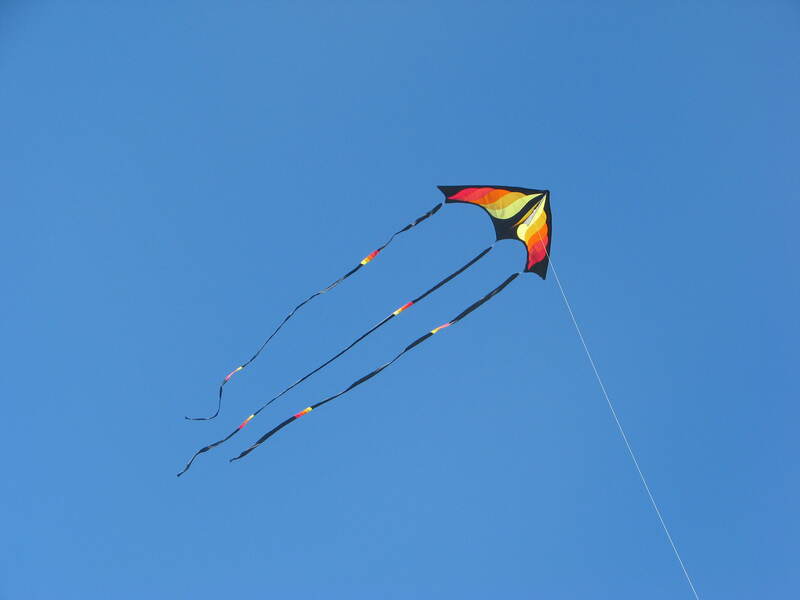 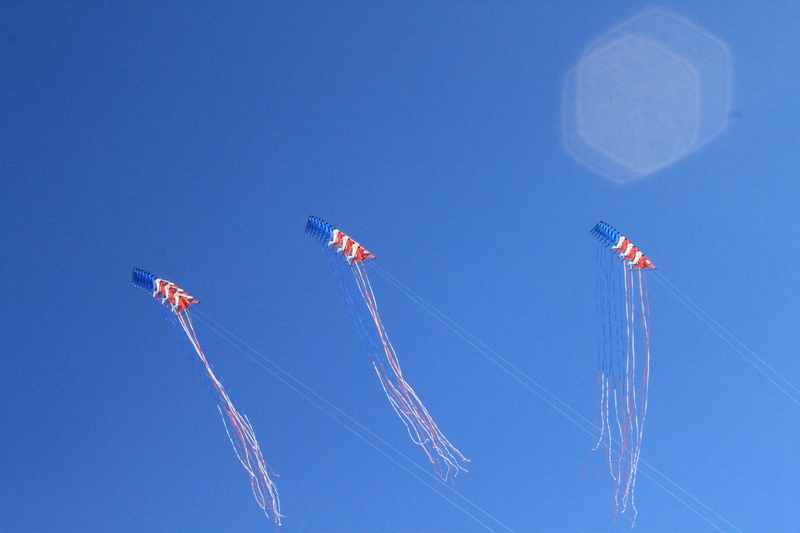 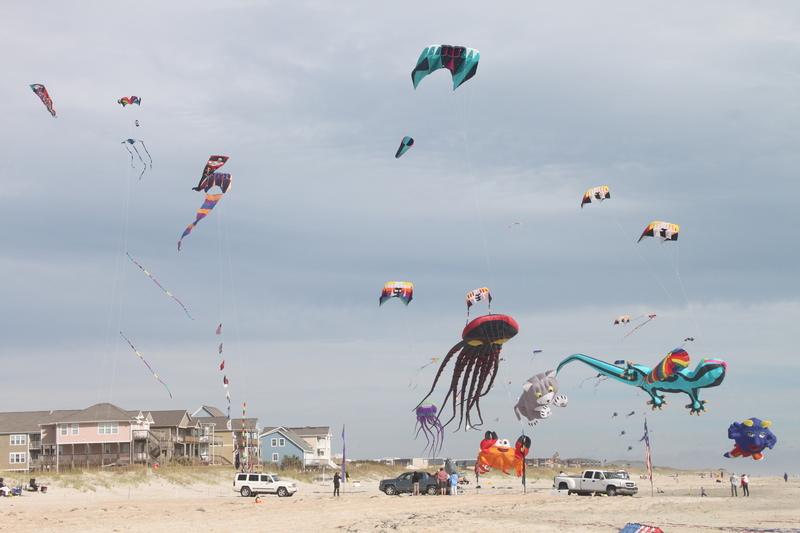 However, they are available from our local kite shop, Kites Unlimited in Atlantic Beach, NC. 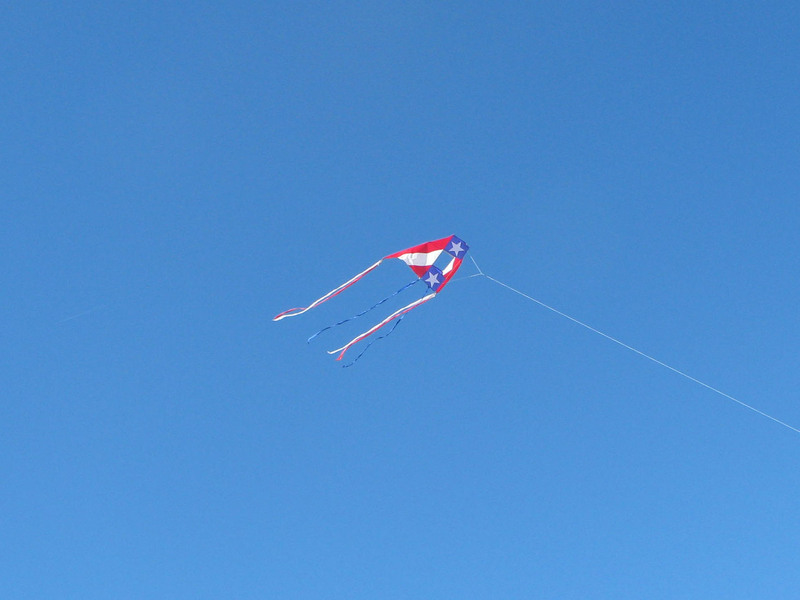 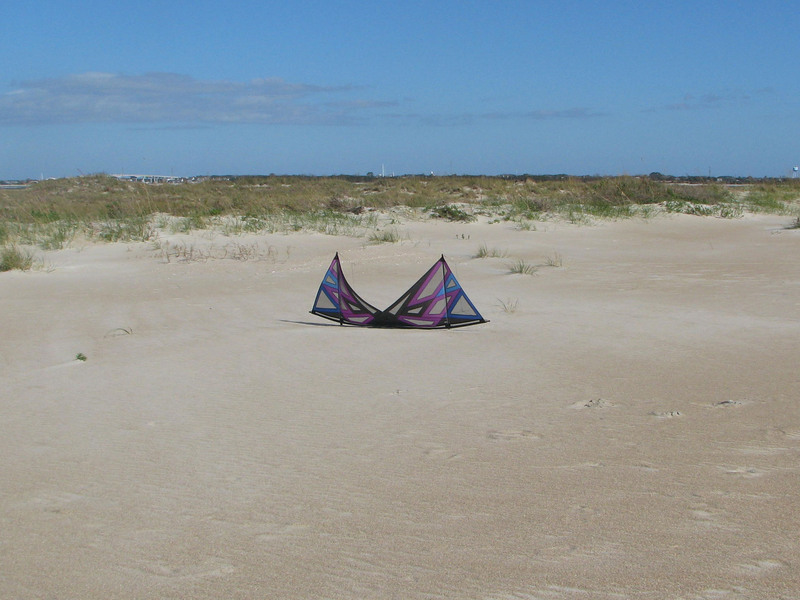 It was the perfect kite for the winds that day and we had a wonderful couple of hours on a relatively empty beach.